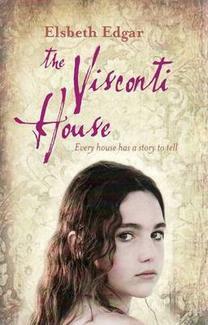 Visconti House is not strictly speaking a local history book or really anything to do with Boroondara. It is a young adult mystery novel written by Melbourne author, Elsbeth Edgar. It is a story about Laura (and her family) who have moved from Melbourne to live in a Victorian country town in a tumbling down mansion from another era. Laura, whilst happy at home with her parents in the house, hates school where she feels different. Enter Leon, another person who is different. Leon and Laura gradually build up a friendship by tracing the history of Laura's mansion, the Visconti House of the title, and of Carlo Visconti, the man who built it. This is a great story about how to use local history sources: it is local history at work. There are plans and photographs and newspapers and the local public library and a cemetery as well as oral history gathered from older residents and relatives. There is even a bit of digging - of sorts. I really enjoyed the book and read it from start to finish in one sitting. It is certainly a theme that is dear to my heart. I liked the way all the sources were covered and that there were frustrations and waiting times as there inevitably are when you are really tracing the history of a house or family. That being said, it did all come together rather neatly. But it is a work of fiction. It is a great book to use if you are wanting to encourage an interest in family or local history in younger people.